#1 This was the first derby to be played in the newly renovated, just out of hosting the ‘FIFA Under-17 World Cup’ Saltlake Stadium. #2 Among the 363 games played between these sides, East Bengal still leads the winning chart with an impressive 127-118 margin despite losing today. 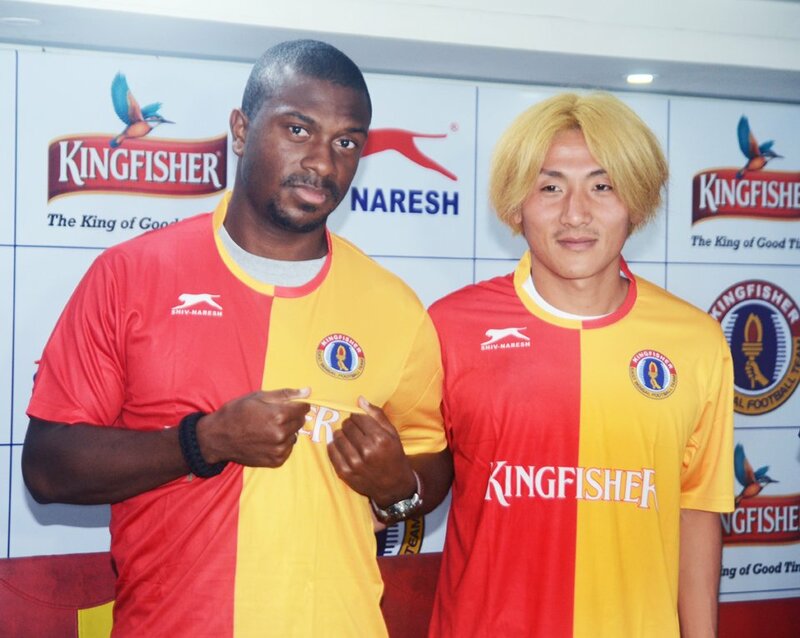 #3 This derby marked the Japanese star Katsumi Yusa’s first derby playing for East Bengal after his move from Mohun Bagan this transfer season. This makes Katsumi to be the 4th Overseas signing. #4 This is Haitian Magician Sony Norde’s fifth Kolkata Derby. Interestingly, Mohun Bagan has never lost a derby with Sony in the playing squad. In the past three derbies Mohun Bagan has won 2-1 and 1-0 while the last one ended in 1-1 draw. #5 East Bengal holds the record of four back-to-back wins in derby clashes in the I-League from 2002-03 to the second leg clash of 2003-04. #6 Among all the players playing in this derby, the strike-rate of East Bengal’s Robin Singh is the best, he has scored five goals in six derbies. Quite a commendable effort indeed! #7 Nine foreigners made their debut for their respective teams in the Kolkata Derby. The four foreigners from East Bengal namely Mahmoud Amnah, Katsumi Yusa, Eduardo Ferreira and Charles De Souza are all set to debut while for Mohun Bagan Kingsley Obumneme, Ansumana Kromah, Yuta Kinowaki, Aser Dipanda and Diogo Ferreira will face the wrath of the derby for the first time. #8 Chidi Edeh was the first foreigner to score a hat-trick in the derby. He also holds the record of scoring the maximum number of goals in a single match. He had scored four goals in Bagan’s 5-3 win over East Bengal in 2009. #9 Outside Kolkata the derby has been played 60 times with East Bengal having won 23 times whereas the Mariners have been victorious 17 times. 20 of the matches have ended in a stalemate. #10 East Bengal has recorded the highest margin of victory in derby, when they defeated Mohun Bagan 5-0 in the 1975 I.F.A Shield final in Kolkata. #11 The previous three derbies have been played outside Kolkata; all in the Kanchenjunga Stadium in Siliguri.